Back in January I committed to a year of eating more noodles. This has had the added bonus advantage of making dinner choices so much easier. If ever I’m stuck, pondering what to eat, a simple solution is ramen! That was the case this week in Washington D.C. Sure, I could have had a burger, or a Philly Cheese Steak, or a kebab from one of the thousands of trucks. But I’m committed to my quest for noodles, and I wanted to see what they would be like in a land that invented cheese in an aerosol can. 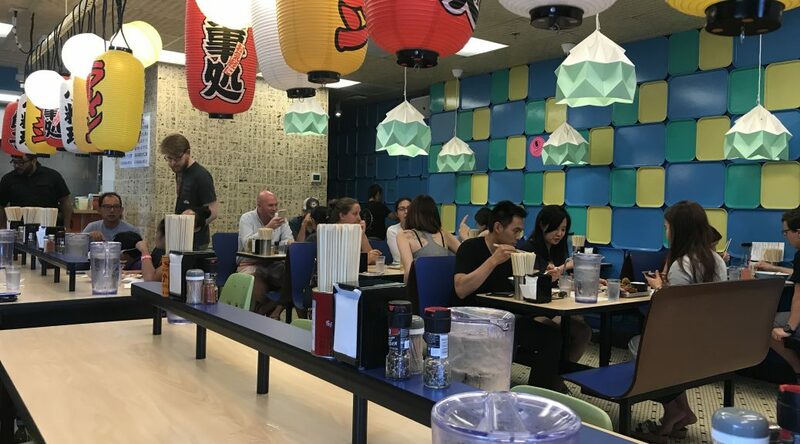 After some extensive research* I had found the 14 best ramen joints in the city. With just 72 hours there, it was a tall order! The first place I tried was Bantam King, where the speciality was chicken-based broth, rather than the more traditional pork. It was a really vibrant place, and I got a sense that it was where locals eat, which I always take as a good sign. 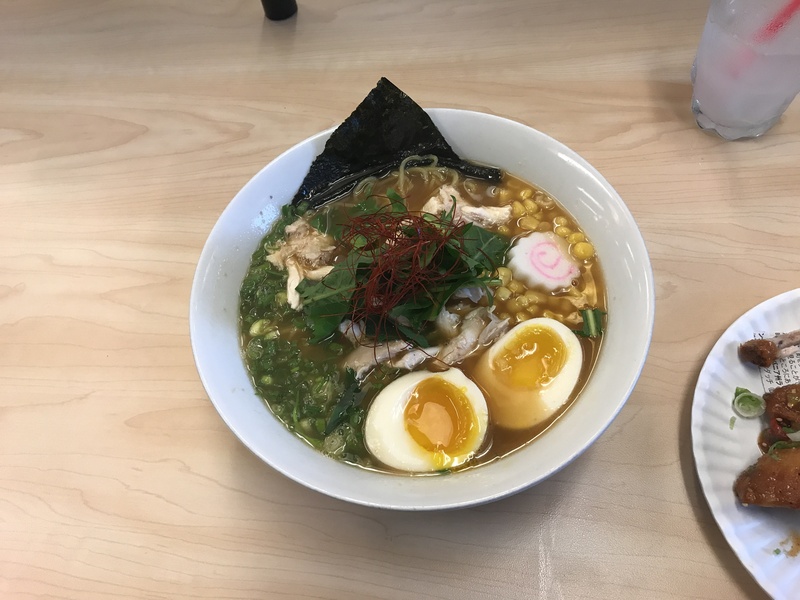 I’ve had chicken ramen before from Bone Daddies, so I was interested to compare and contrast. Eating alone is a strange affair, but there were at least 4 others in the restaurant without dates. Bantam King were off to a good start…they offered a special yuzu chuhai cocktail. Which was a no brainier, and as delicious as one would expect. I ordered the KO Wings and a Shoyu Ramen (with an added marinated egg). 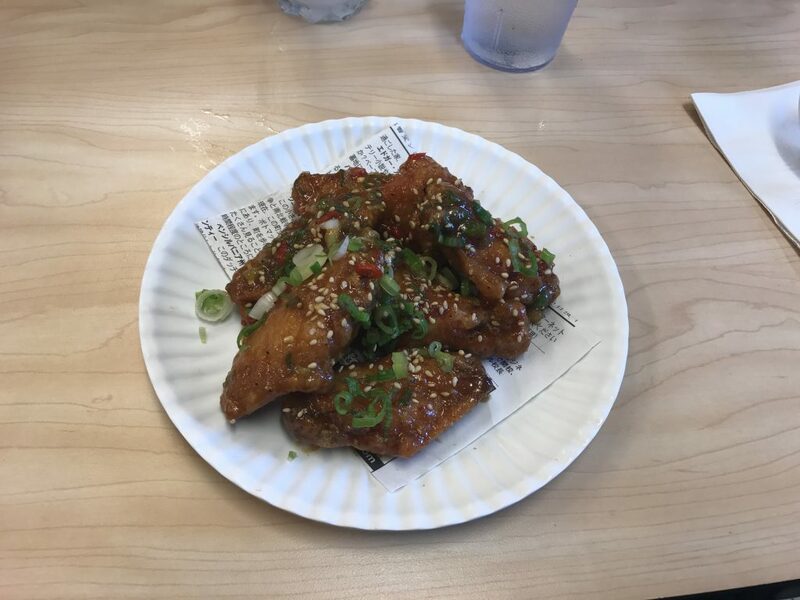 The wings were a slightly less spicy, more sticky version of those at Bone Daddies, and the scattering of spring onions (scallions?!) added a slightly more savoury note. The ramen arrived, steaming and delicious! I don’t think I’ve seen sweetcorn in a bowl of ramen before, and as much as I love it usually, I wasn’t convinced. Let’s take a moment to recognise that there was a Kamaboko (the swirly white and pink thing) which is a Ramen Resolution first! Every bowl in actual Japan had one of these bad boys. I guess the food restrictions in the UK mean they are banned? Either way, serious authenticity points! The broth was a bit thin (maybe it’s a feature of chicken broth?) and the egg, although tasty, didn’t have the same golden colour that I like. I really enjoyed Bantam King! The highlight was the wings, which I’d have gladly eaten again! I also had to have another chuhai so it was pretty pricey ($39) but the staff were super friendly and helped explain different menu options, which is something that hardly ever happens in the UK. 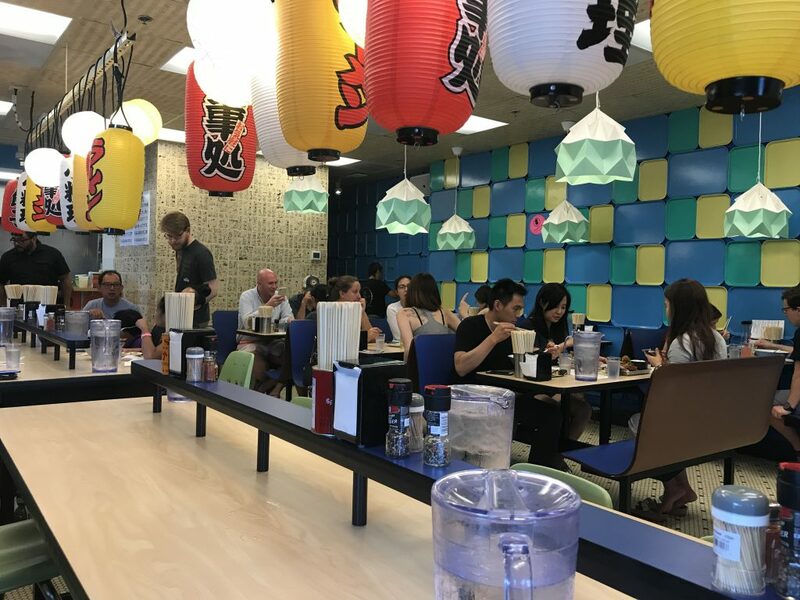 I’d definitely recommend, and rate them RAMEN (4 out of 5).